The amazing part about Boyhood, well, one of the amazing parts, is that it is so relatable on a broad scale, despite being incredibly specific. Boyhood understands so many basic parts of the human experience but hey, most kids from Connecticut don’t get a shotgun on their fifteenth birthday. 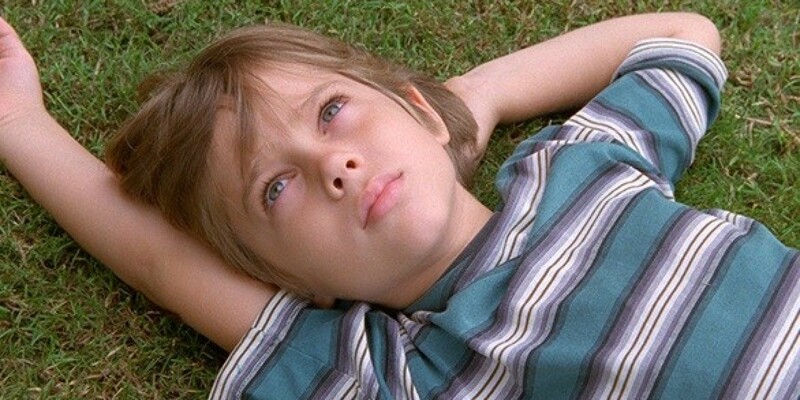 Boyhood is one of those films that critics save up all of their hyperboles for. You can call it amazing and you can call it groundbreaking and it both instances it wouldn’t sound like you were exaggerating. In this case, listen to the hype. You might already know the story of how Boyhood was made. Twelve years ago, Richard Linklater first pointed a camera at six-year-old Ellar Coltrane and then filmed a little bit of the story each year for the next twelve years. It is a wholly unique way to make a film, and it makes for a film that is like no other. Coltrane plays Mason, who starts the film as a boy and ends it as somebody who is figuring out how to be a man. Mason hails from Texas and lives in a broken home, with his mom (Patricia Arquette) doing everything she can to keep the family afloat, while his dad (Ethan Hawke) shows up every other weekend to take him and his sister (Lorelei Linklater) on some sort of awesome trip. Explaining any further story would probably serve no purpose. Linklater’s best films (with the exception of School of Rock and Bernie) run on people rather than plot devices. In terms of story, Boyhood is both a familiar and a unique coming-of-age story. It contains kids making mistakes, and adults giving advice. Yet, even the cliches feel fresh. The wonderful thing about a visual medium like film is that it is not just about the story you tell, but how you are telling that story. Linklater gets this, and it often feels like he is pointing the camera in such a direction that nobody has pointed it before. There is just so much light shining through this film, and even when it does get dark, it still maintains the perfect level of bright optimism. Boyhood is mostly about memories, and how fleeting they are and how we do everything to try and capture them. It is therefore fitting that Mason is a photographer and, like Linklater, he tries the best he can to capture ordinary life just a little differently than anybody else. One shot in the film sticks out in particular. It is the opening shot as well as the film’s poster: Mason lays out on what seems like an infinite field staring up at the sky. It turns out he is really just laying down on a little grassy corner in the schoolyard. Mason sees something we don’t see. He is just a young boy in this small town yet everything seems so huge to him. Boyhood is about Mason both realizing who he is while trying to invite us into his authentic worldview. As Mason, Coltrane gives a brilliant and ever-evolving performance. He has a long career ahead of him, although this might just be the most challenging thing that he ever does. As parents, Arquette and Hawke make perfect opposites. Arquette is a multi-dimensional mother with too much on her plate, and Hawke is the quintessential fun dad who knows the right things to say at the exact right moments. Just like Mason, the two of them grow over the course of twelve years. Boyhood is the rare film that has to be seen in theaters not because of the spectacle, but because of the shared experience. Three hours fly by and by the end, it will feel like some of Mason’s memories are your own as well. Everything that is in it works much better than you could ever imagine. A character can spout out a line like “we don’t seize the moment–the moment seizes us” and somehow it doesn’t sound like a Jaden Smith Tweet. At certain moments, Boyhood brought tears to my eyes, not out of sadness, but because I felt like I was watching my own life unfold in front of me. Sure, that might sound dumb, but sometimes when you love a film this much, it makes you say really stupid things. Yes, I already bought the soundtrack. This film is so good that Soak Up The Sun is now stuck in my head. Boyhood might be the first film I have seen that is a period piece about my childhood, which, like Mason’s, occurred mostly in the early 2000s. Boyhood is a period piece that changes during every single year it takes place. I need to write a separate piece about this. Think of Boyhood as an easier to digest version of The Tree of Life. It asks all of the same philosophical questions, but without the dinosaurs. Patricia Arquette should win an Oscar for her final scene alone. With the Texas setting and meandering conversations, I consider Boyhood to be a sort of unofficial sequel to Dazed and Confused. One fun little easter egg: the liquor store clerk from Dazed makes a little cameo in Boyhood. Boyhood is somewhere between a drama and a comedy. Linklater never goes for cheap laughs or dramatic moments. When there is a laugh, it is earned. When something terrible happens, there has already been plenty of buildup to it beforehand. Boyhood is a masterclass of plants and payoffs. Boyhood is basically the cinematic equivalent of Arcade Fire’s The Suburbs. Texas Fun Fact: Texans say a pledge to the Texas flag after reciting the Pledge of Allegiance. For a brief moment, Boyhood really made me want to move to Texas. Good work, Linklater. A second viewing needs to happen some time soon. This entry was posted in Uncategorized and tagged Boyhood, Dazed and Confused, Ellard Coltraine, Ethan Hawke, Movie Review, Patricia Arquette, Richard Linklater, Texas on July 26, 2014 by ian0592.